Since establishing D&B School of Performing Arts in 2000, we have had the pleasure of nurturing many students through our three year diploma course and into professional work. 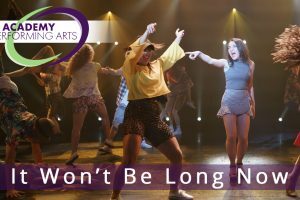 Our exciting performing arts school offers a balanced curriculum of professional training to students from the UK and abroad. We cover every aspect of training needed to develop well balanced, versatile triple-threat performers. With a selected intake every year, our students benefit from intensive training from a dynamic and professional faculty. The small intake enables us to truly nurture our students’ strengths and weaknesses, and ensures that every individual will develop their skills in a safe and happy environment. The D&B Diploma in Musical Theatre is endorsed by the Council for Dance, Drama and Musical Theatre. We are also uniquely placed to offer ample professional opportunities to our students through our extensive industry links and highly acclaimed acting agency, D&B Management.